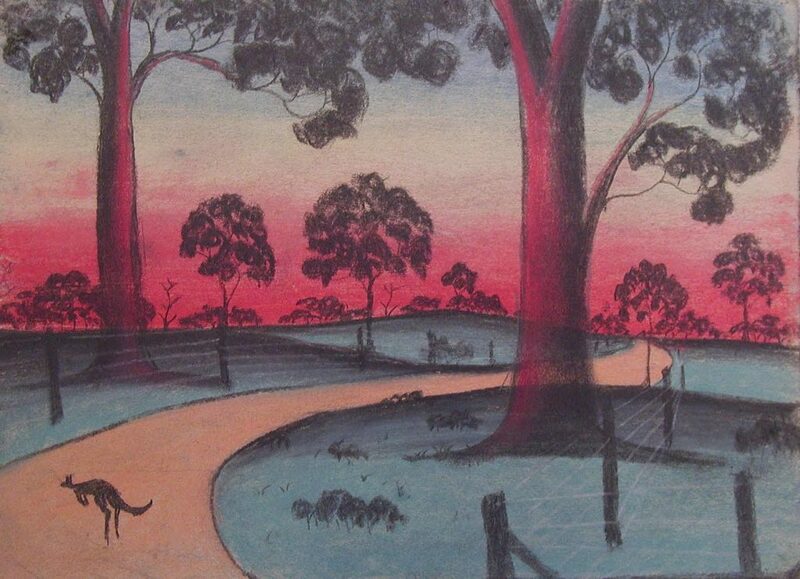 The Golden Road by an unidentified child artist from Carrolup, c1949. The image is from the Colgate University Flickr account described below. 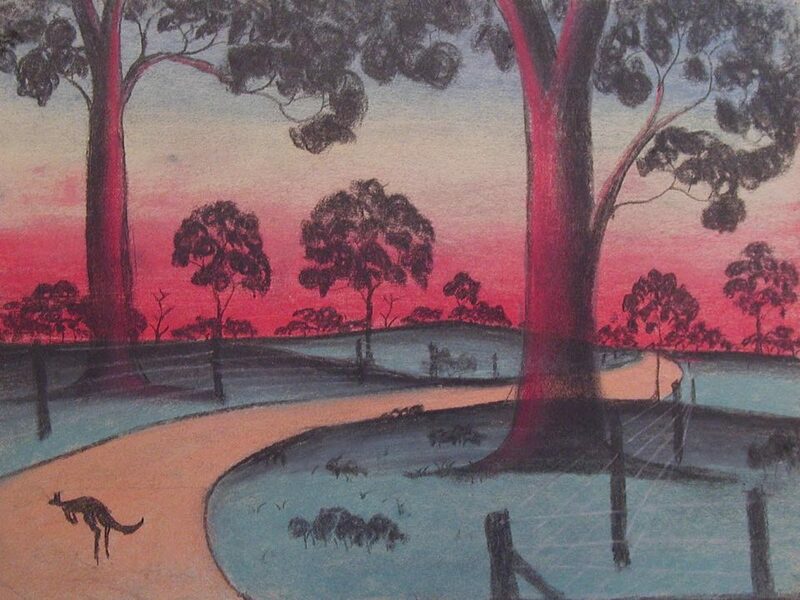 The drawing is part of the The Herbert Mayer Collection of Carrolup Artwork, John Curtin Gallery, Curtin University. We’ve been thrilled with the response we’ve had from community members about The Carrolup Story website, and their delight in looking again at a selection of the Carrolup children’s art we have shown. You may recall that this collection of Carrolup children’s art was made by Florence Rutter, principally to exhibit and sell on behalf of the children, in the United Kingdom and the Netherlands, through the Aboriginal Children’s Trust that she set up in London. The collection includes a personal selection that Florence made for both herself and her family. However, she lost all her own money, together with that held by the Trust, to a con man. Destitute, she advertised its availability and was able to sell it to Herbert Mayer of New York city. Mrs Rutter passed away in 1958, her dreams shattered. Some say she died of a broken heart. Herbert Mayer gifted the collection to his old university, Colgate (Class of 1929), in upstate New York in 1966. This is the collection that Howard Morphy ‘found’ at the Picker Gallery at Colgate University in 2004. Athol Farmer, Ezzard Flowers and I went to inspect the collection a year later. We selected elements for inclusion in the 2006 ‘Koorah Coolingah’ exhibition at Katanning, which was part of the Perth International Arts Festival (PIAF). The collection was ‘generously donated to Curtin University, Perth, Australia in May 2013 for educational and research purposes by Colgate University….’ It is known as ‘The Herbert Mayer Collection of Carrolup Artwork’ and is housed in the John Curtin Gallery. Did the Carrolup girls draw, too? Yes!